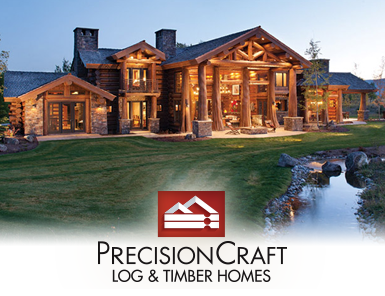 PrecisionCraft manufactures and builds mountain style homes which contain logs and/or timbers. The majority of PrecisionCraft's log homes and timber homes showcase large diameter logs and heavy timbers which range in size from 900 to over 6,000 sq.ft. PrecisionCraft has built homes across the United States, in Canada, and around the world. 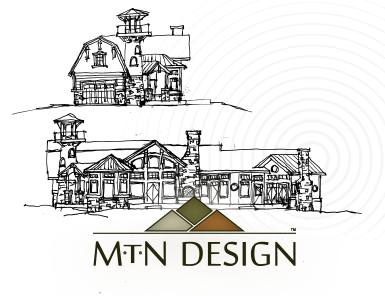 Award-winning M.T.N Design is the in-house group which provides design services for PrecisionCraft Log & Timber Homes, Riverbend Timber Framing and Point Zero. M.T.N offers full service design from conceptual drawings through engineered construction docs. Riverbend manufactures and builds traditional timber frame homes. 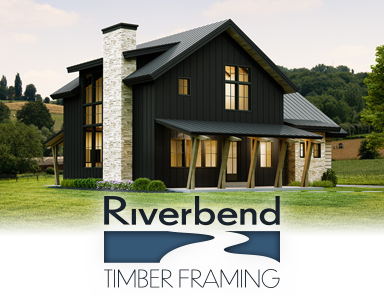 Using designs created in-house or from outside architects, Riverbend crafts beautiful timber homes which are also highly energy efficient due to the inclusion of Insulspan® Structural Insulated Panels (SIPs) and the Advantage ICF (Insulated Concrete Forms) System®. Riverbend has built homes throughout the United States and Canada. TimberScape was born as a natural extension of PrecisionCraft Log & Timer Homes and Riverbend Timber Framing. TimberScape structures are unique outdoor designs which use large timbers with detailed connection to create amazing outdoor spaces. 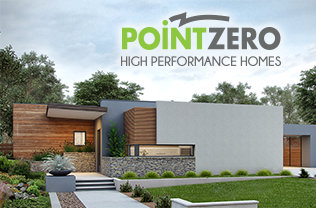 Point Zero homes are high performance homes which are net zero capable. Using today's most advanced energy efficient building techniques, including SIPs and ICFs, these homes are created for the energy-conscious client who is also looking for a unique and architecturally stimulating design. PFB Custom Homes Group, LLC is a wholly owned subsidiary of PFB America Corporation. PFB America is a wholly owned subsidiary of PFB Corporation of Calgary, Alberta, Canada. PFB Custom Homes Group (located in Meridian, ID) includes the brands: Riverbend Timber Framing, PrecisionCraft Log & Timber Homes, Point Zero Homes, TimberScape Outdoor Living Structures, and M.T.N Design. Each home brand provides clients with our exclusive Total Home Solution® for building custom homes in the US, Canada and Internationally. © Copyright PFB Custom Homes Group, LLC.